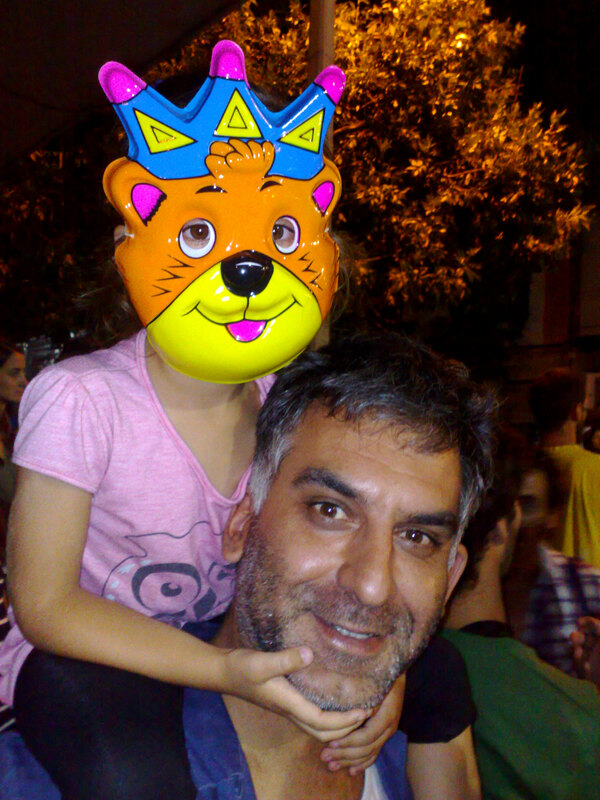 Carnival in Montevideo, Uruguay. According to a tourist brochure, Montevideo celebrates the world’s longest carnival. 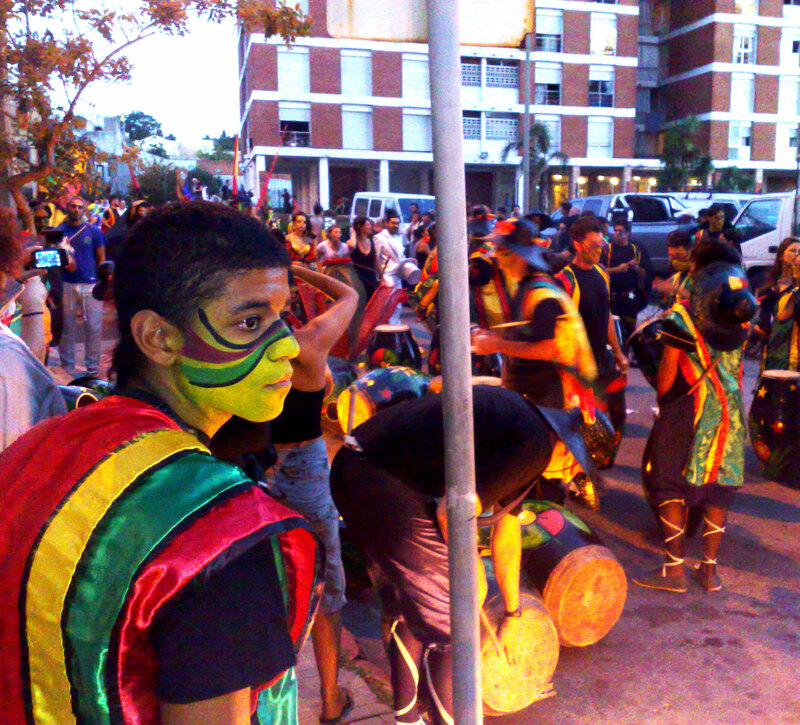 This festival has its root in different immigrant’s culture, mainly Spanish and Africans. 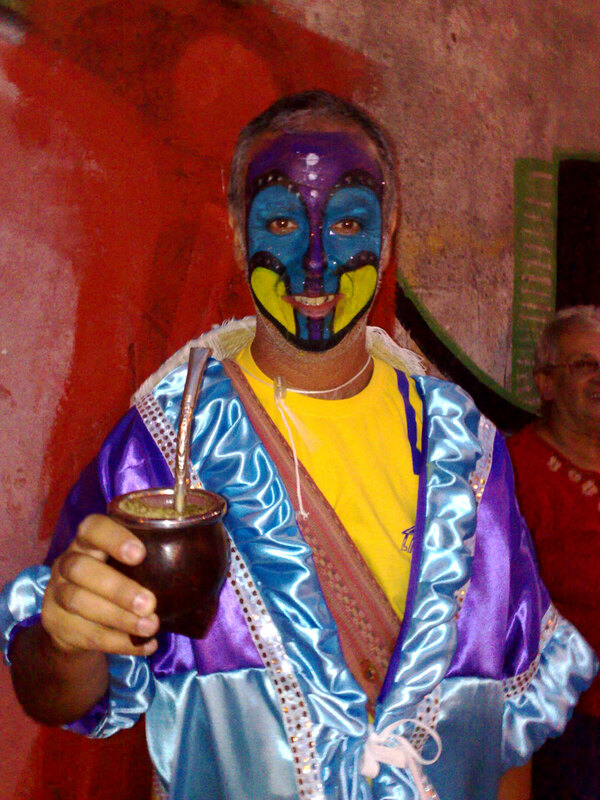 Yerba mate is a very popular drink in many South American countries. It is drunk through a drinking tube, with a filter attached to the lower end to prevent consumption of the leaf fragments. The straw is traditionally made of silver, because it transfer less heat. It was first consumed by the indigenous Guaraní and spread by the Tupí people that lived in Southern Brazil that was Paraguayan territory before the war of the Triple Alliance. Therefore, the scientific name of the yerba mate is Ilex paraguariensis. The Guaraní have a legend that says that the Goddesses of the Moon and the Cloud came to the Earth one day to visit it but they instead found a Yaguareté (a jaguar) that was going to attack them. An old man saved them, and, in compensation, the Goddesses gave the old man a new kind of plant, from which he could prepare a “drink of friendship”. 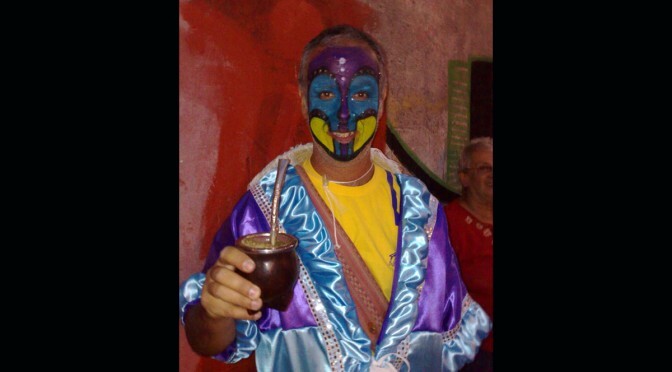 Today there are different traditions or ceremonies in South America in how to drink mate, but is often social event so it is still a “drink of friendship”. 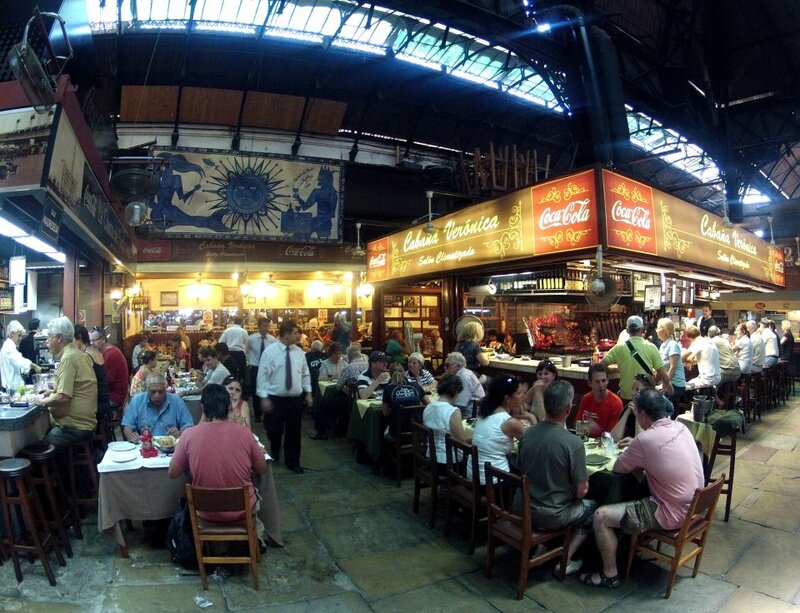 I had lunch twice at the Mercado del Puerto, which is the centre of traditional Uruguayan food and beverage in Montevideo. With the juicy and tasty meat I drank the traditional Medio y medio, which is part sparkling wine and part white wine. 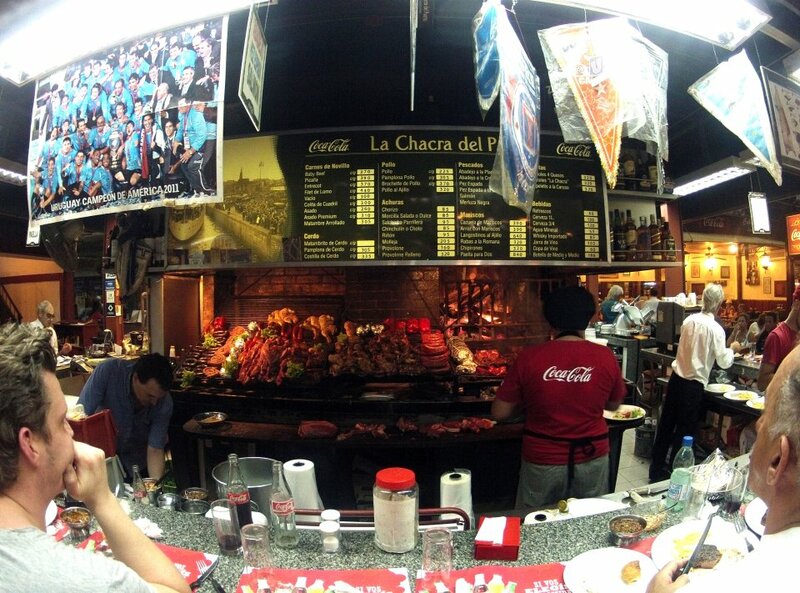 Uruguay is famous for excellent beef and soccer teams. 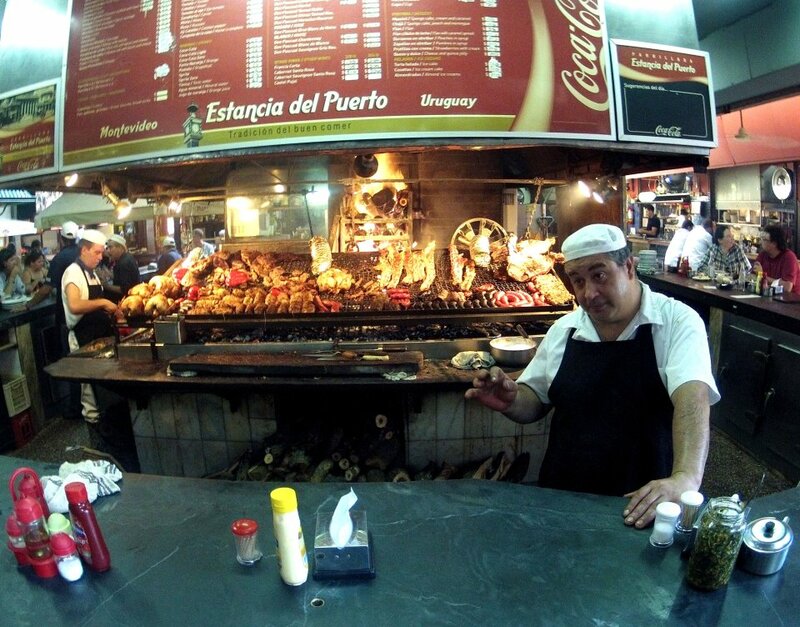 – Mercado del Puerto in Montevideo. 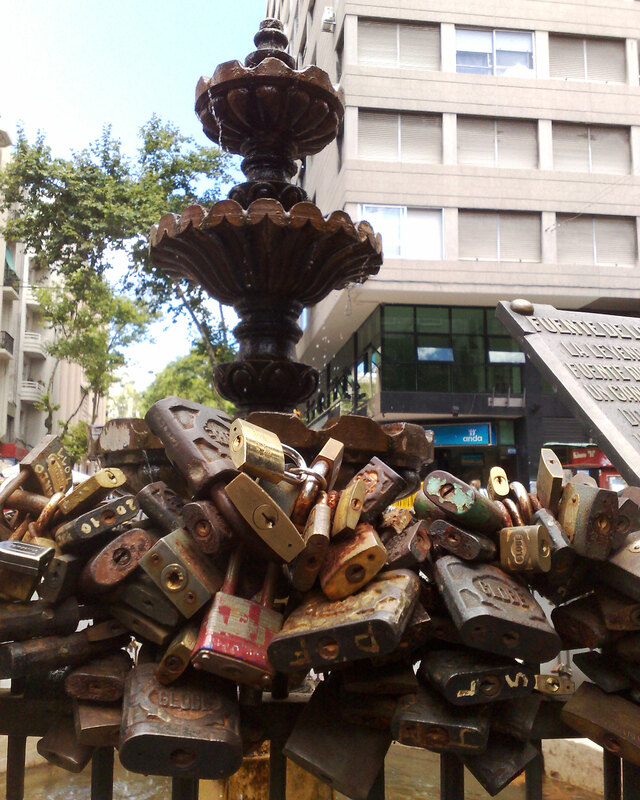 Love padlocks in Montevideo – I first saw Love padlocks in Zhangjiajie, Hunan Province of China and then in Copenhagen, Denmark. I don’t know the origin of this tradition but in Rome the ritual of affixing love padlocks to the bridge Ponte Milvio can be attributed to the book “I Want You” by Italian author Federico Moccia, who later made it into the film-adaptation “Ho voglia di te”. 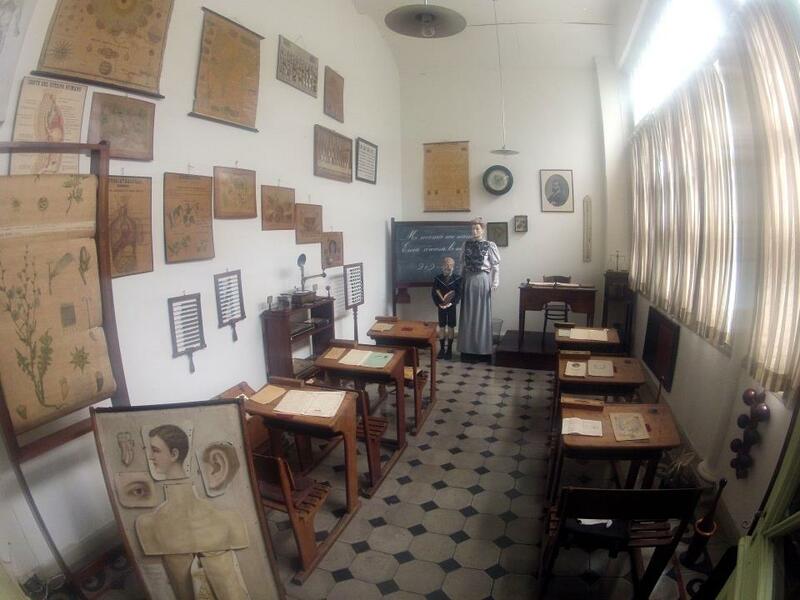 The Pedagogical Museum in Montevideo, Uruguay, commemorates the educational reforms by Mr. José Pedro Varela (19 March 1845 – 24 October 1879). 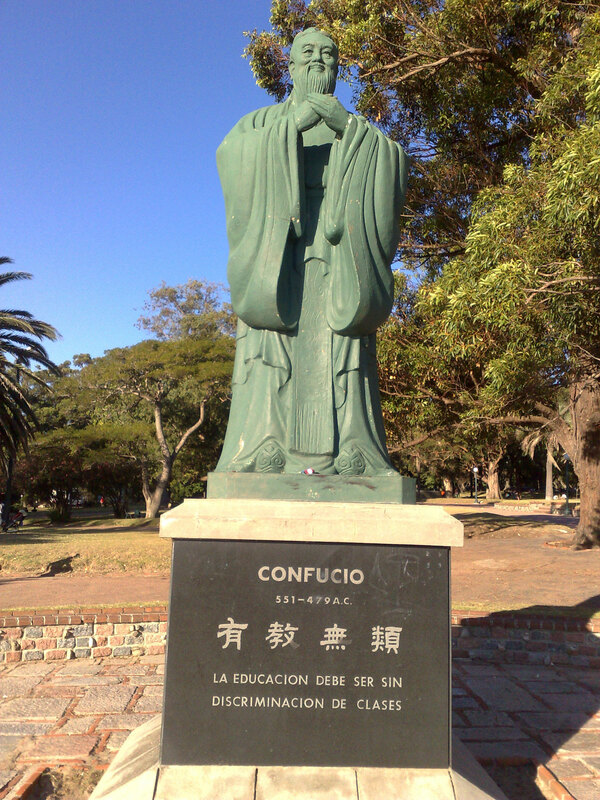 His writings convinced the government to pass the 1877 Law of Common Education. 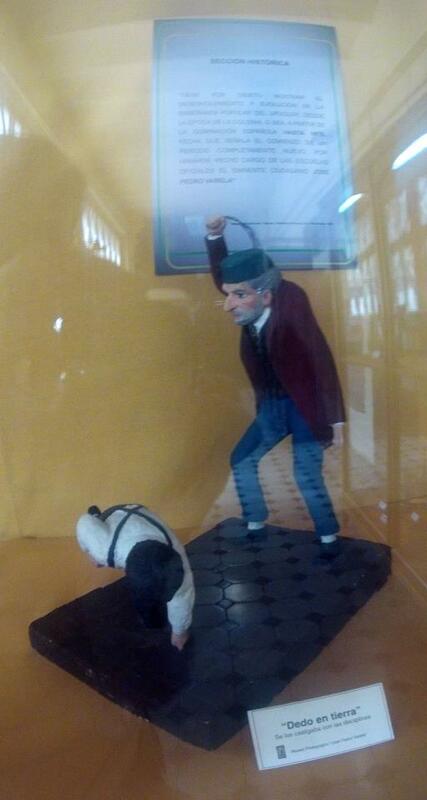 This is why Uruguay pioneered universal, free, and compulsory primary education in the Americas. 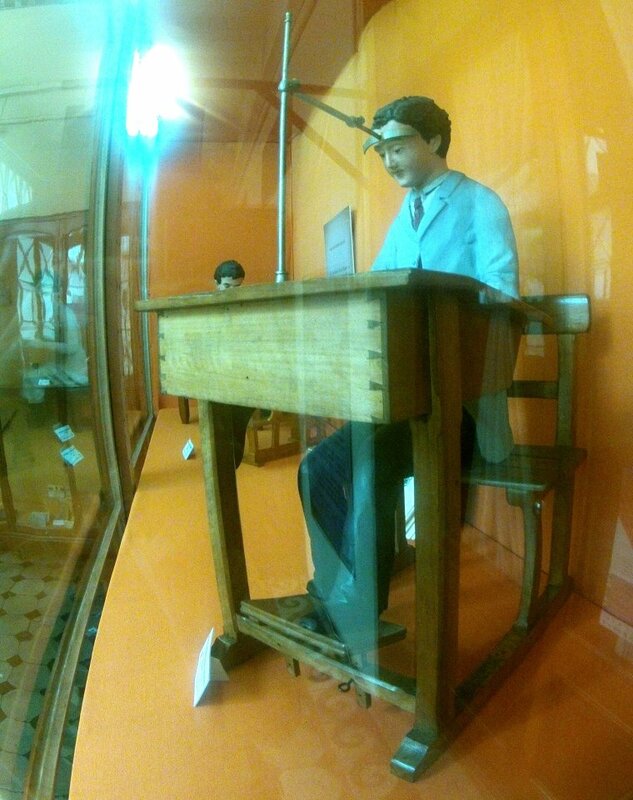 Head support for a big brain in the Pedagogical Museum in Montevideo. 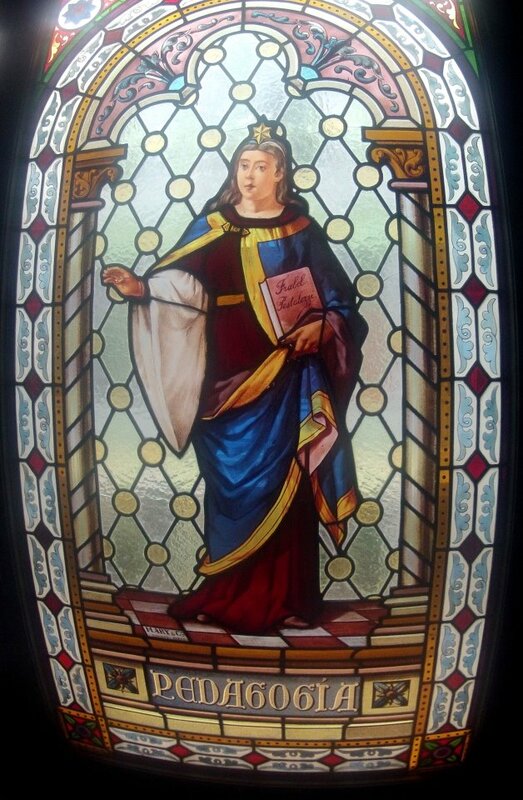 Testimonies show that before Varela´s reform, the education was focused both on rote-learning and on the reward and punishment one. 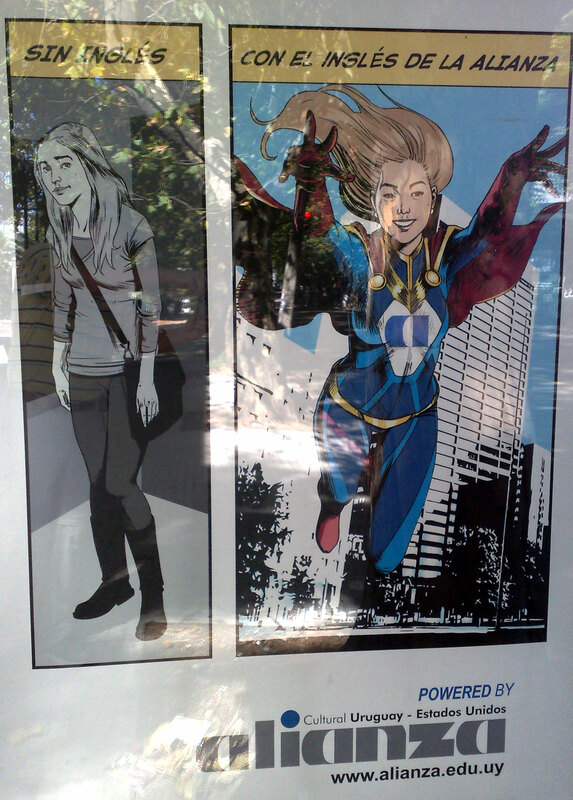 A poster in Montevideo about the importance of learning English. 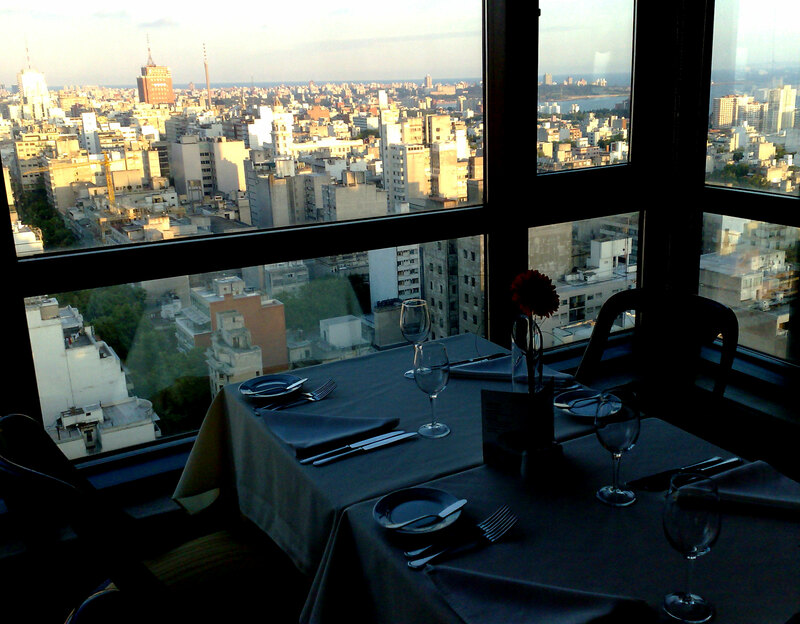 I met more people who spoke English in Uruguay than in Argentina. In my opinion, English is the most important language in the world. I have been told that all children in China learn English today. 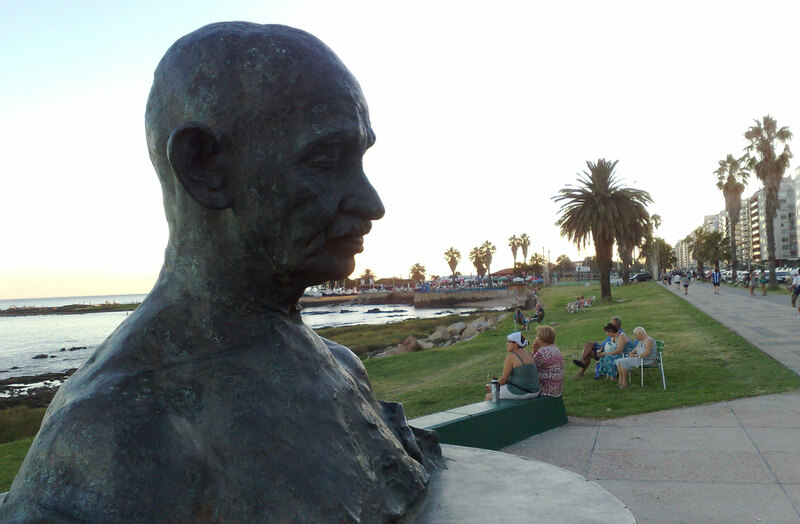 Statue of Mohandas Gandhi at the Ramba in Montevideo. I saw many walk or run at the Ramba. When it´s very hot it´s good to walk there because of the cold wind. A book commemorating the women’s vote in 1938. 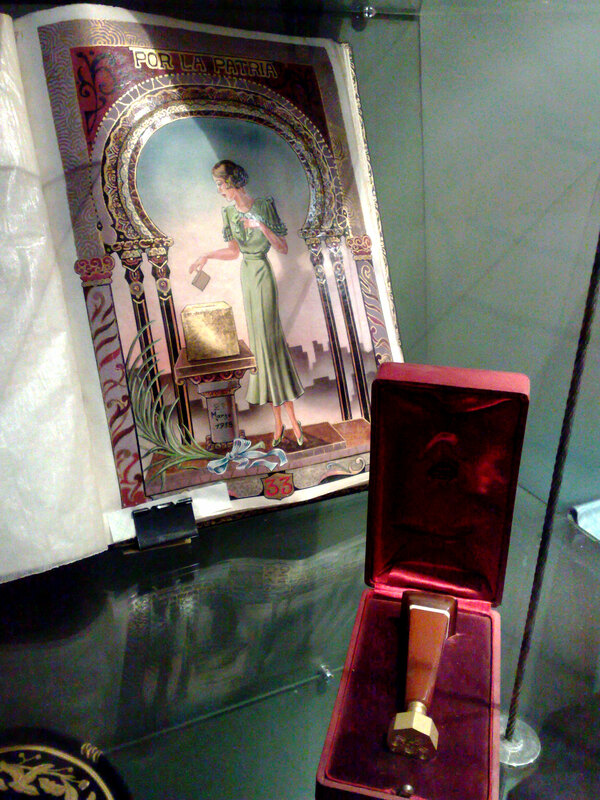 I saw this book in the Museo Casa de Gobierno in Montevideo. An Argentinean, who is the general manger of the hotel where I stayed, told me that the Uruguayans emphases on democracy and honesty.